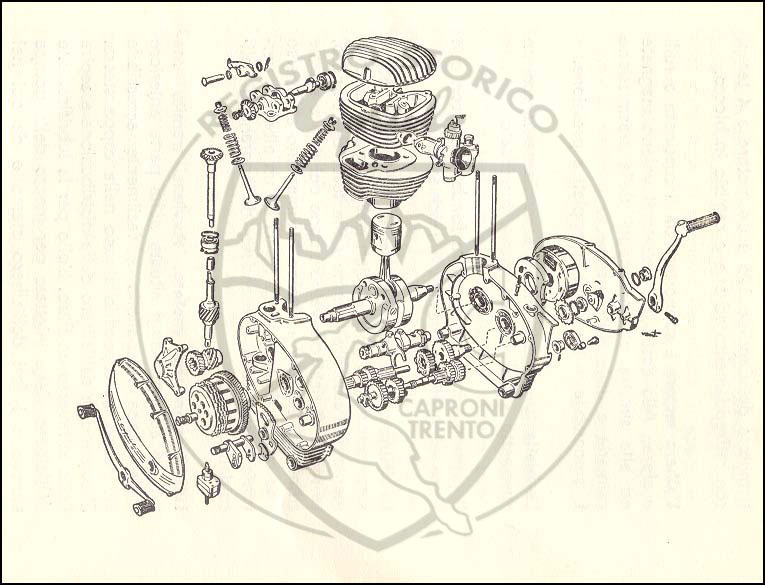 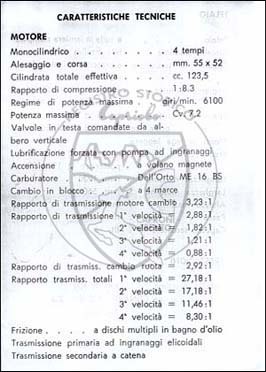 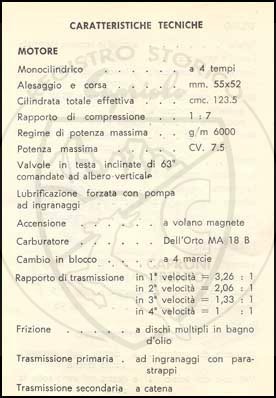 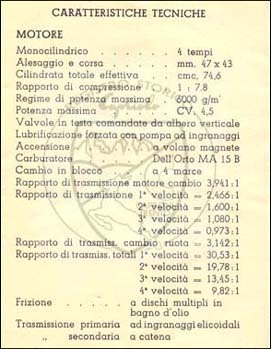 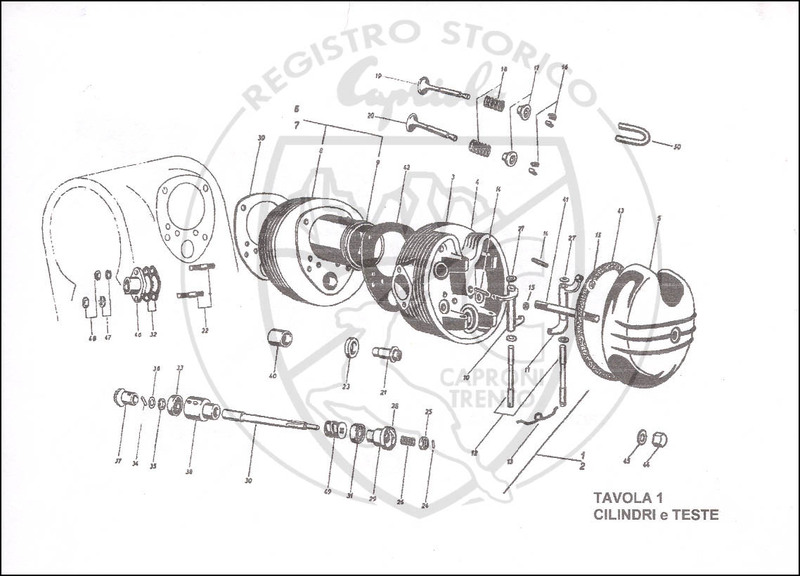 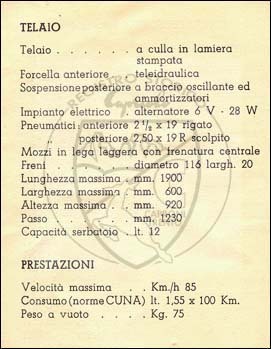 Anonima Lombarda Cabotaggio Aereo (A.L.C.A) was an Italian automobile manufactured from. 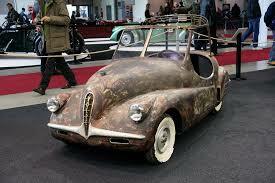 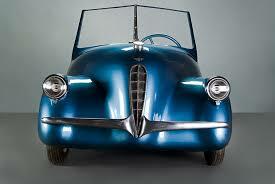 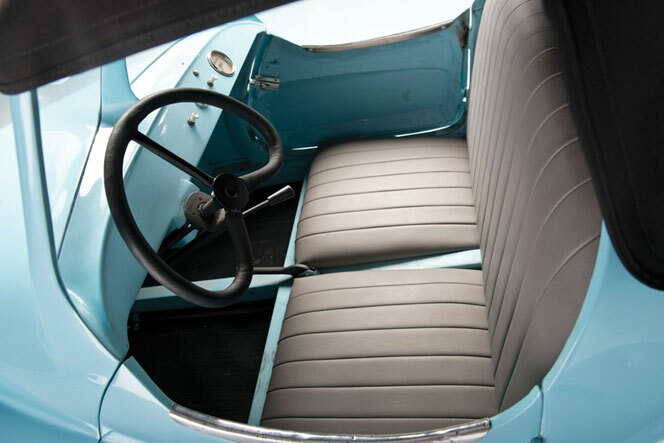 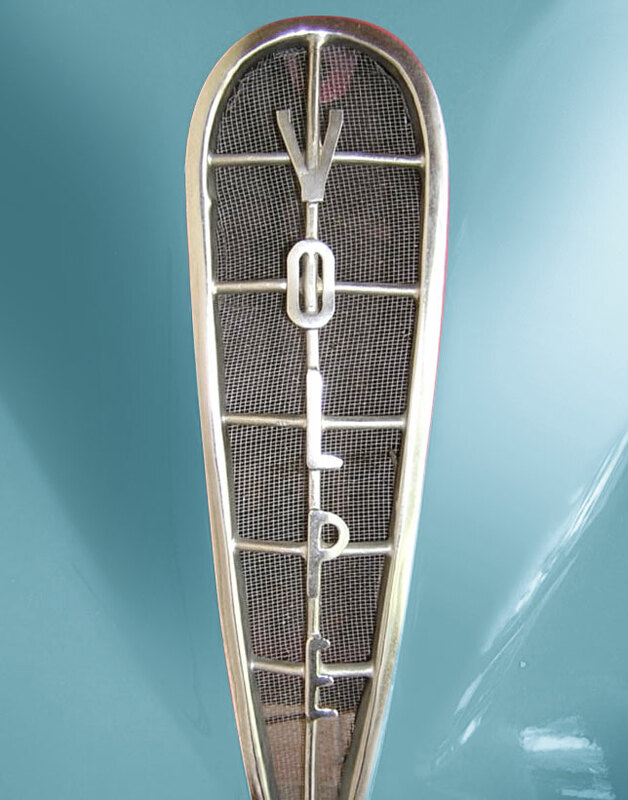 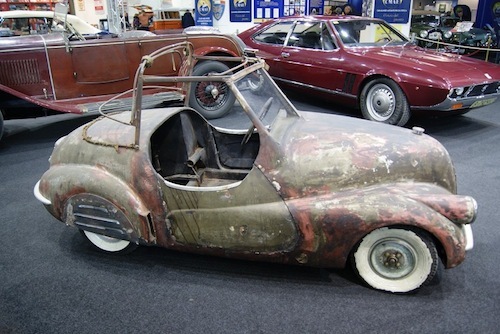 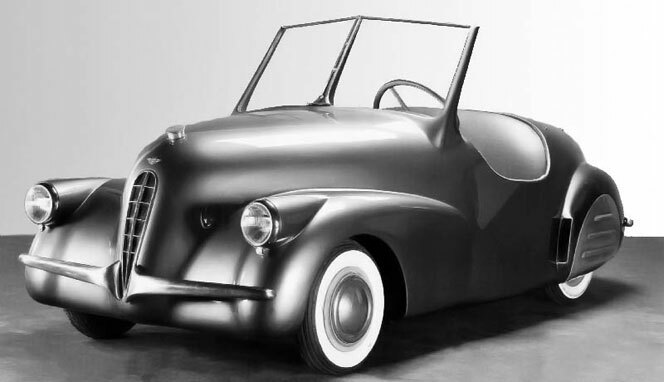 The company from Milan in 1947 was a city car at the Geneva Motor Show . 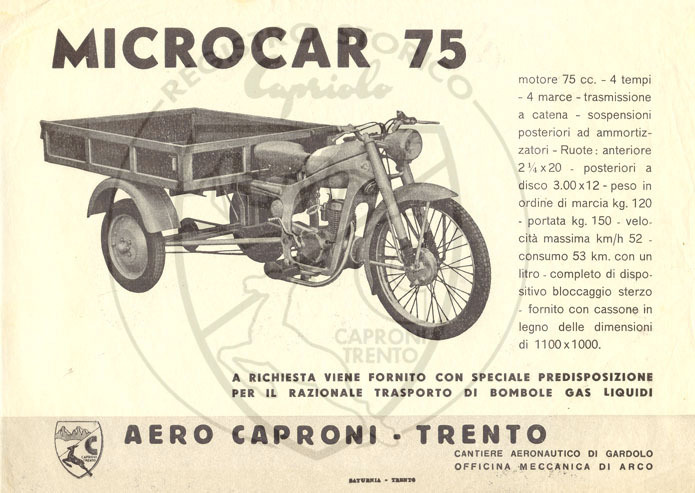 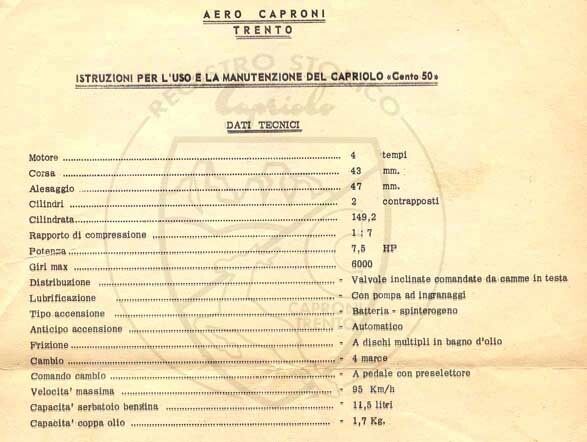 Were involved in the construction of this vehicleSocietà di Construzioni Meccaniche e Aeronautiche, Società Lombarda di Navigazioni Aereo and Officine Caproni. 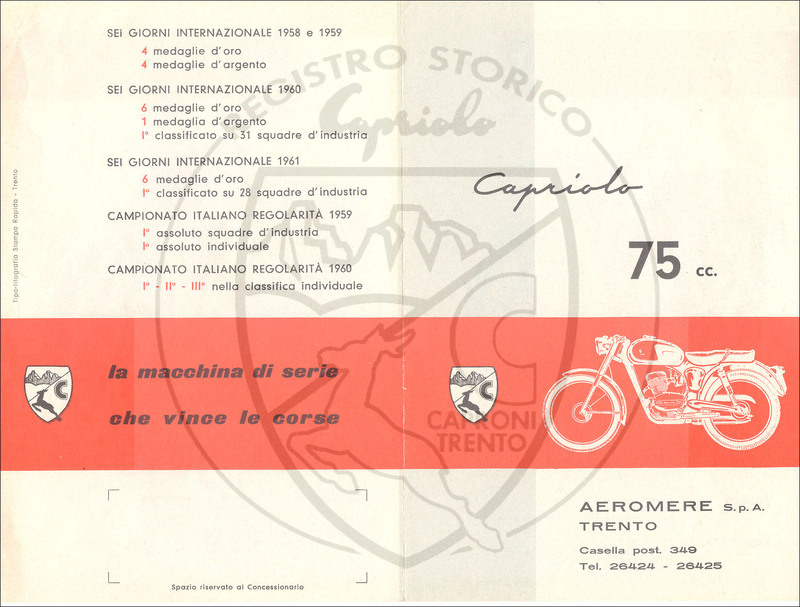 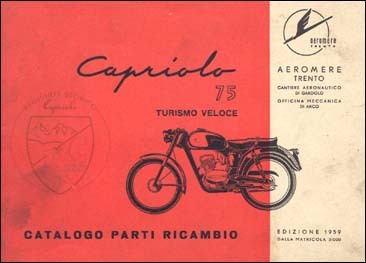 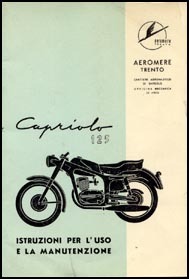 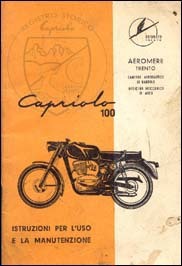 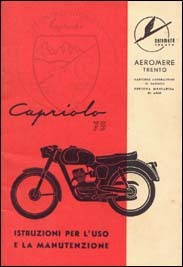 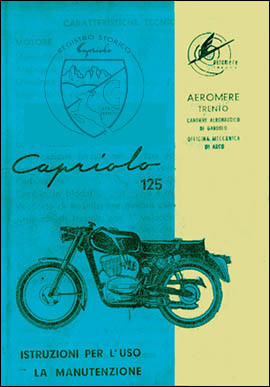 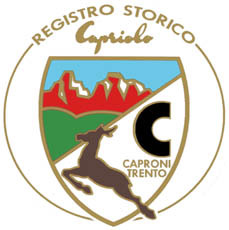 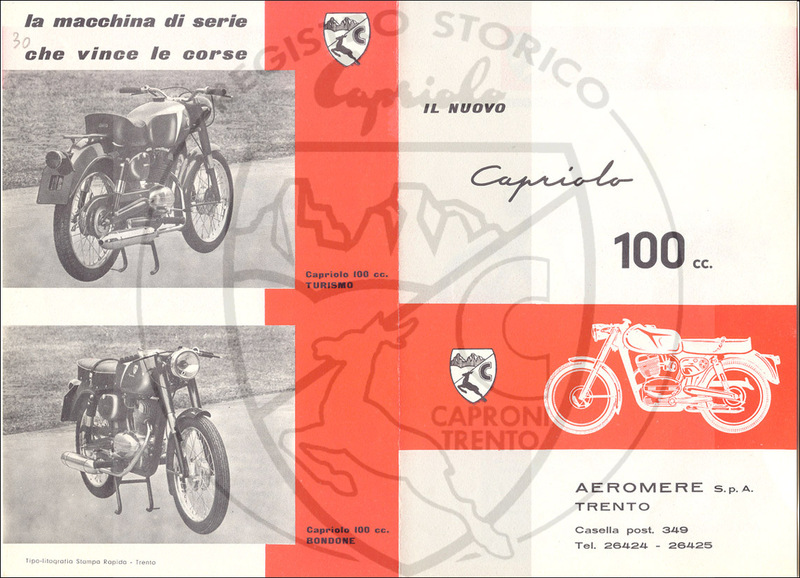 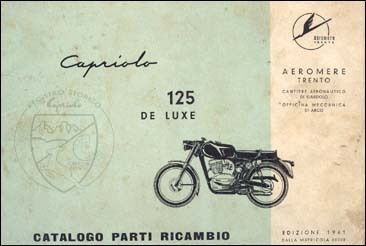 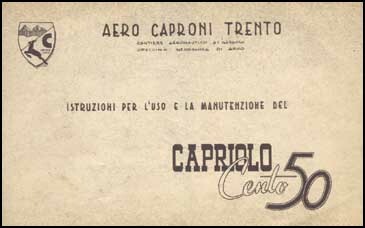 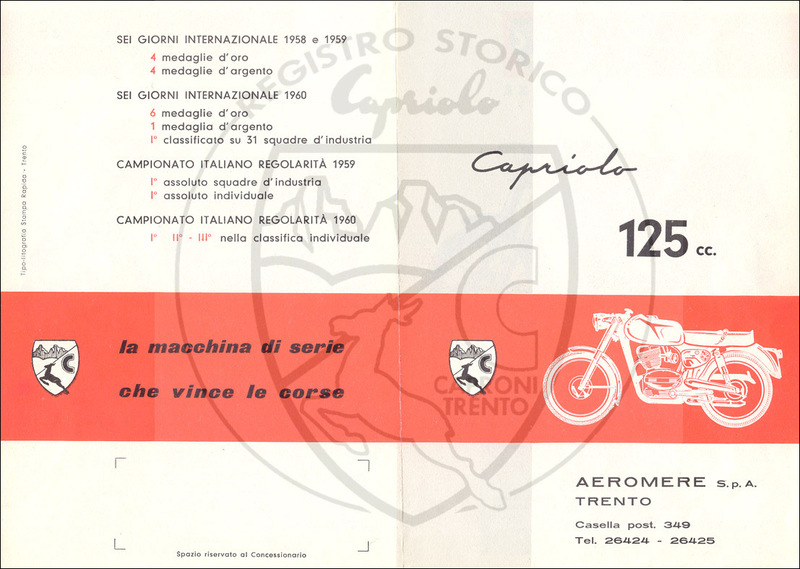 A few copies were produced during Aero-Caproni Trento until 1949. 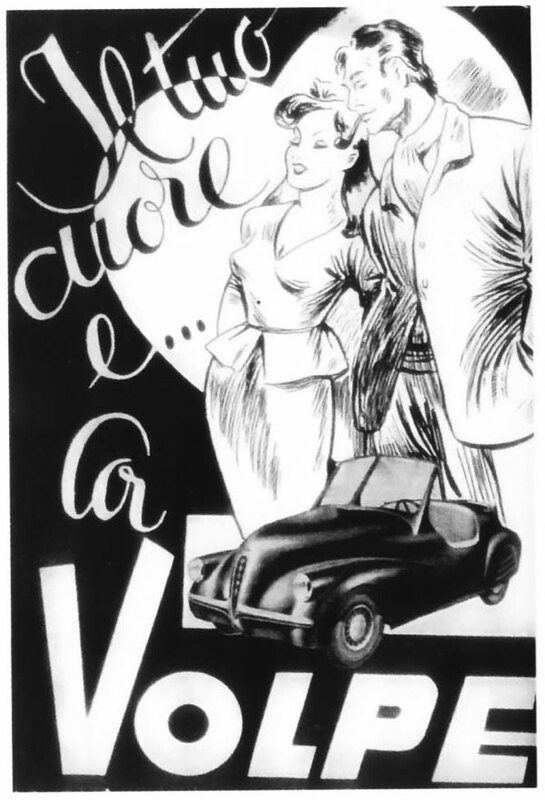 The brand name was both FTAA and Volpe. 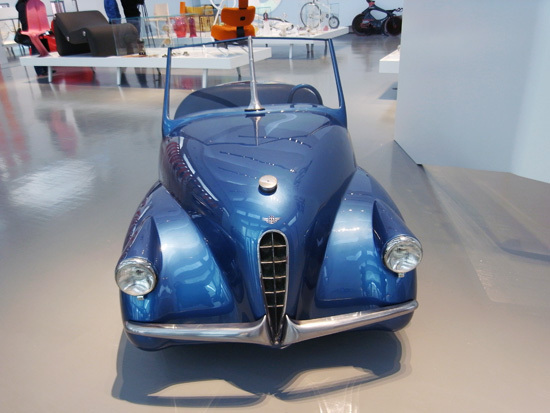 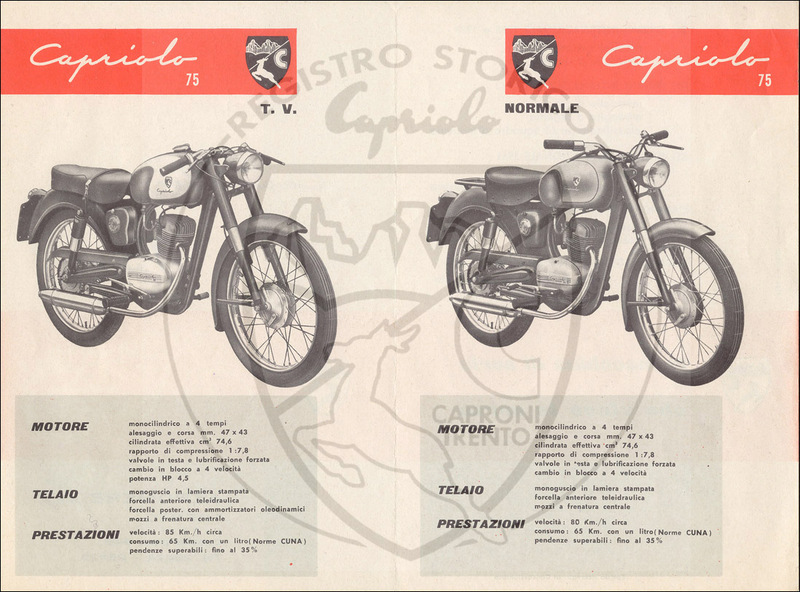 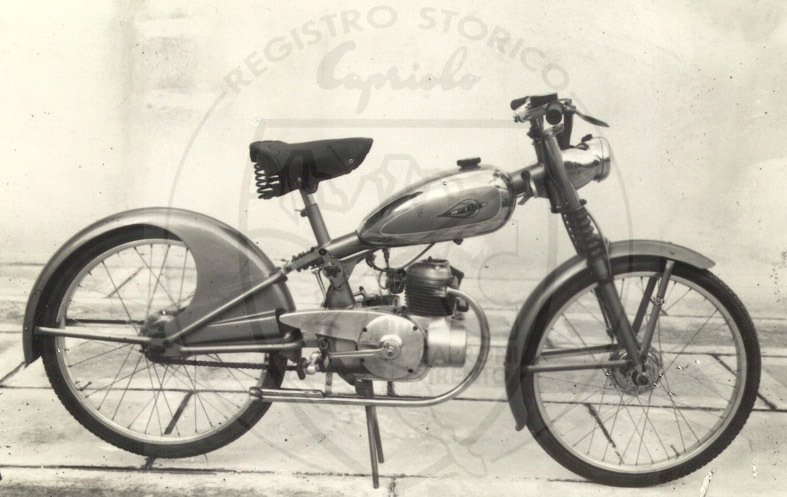 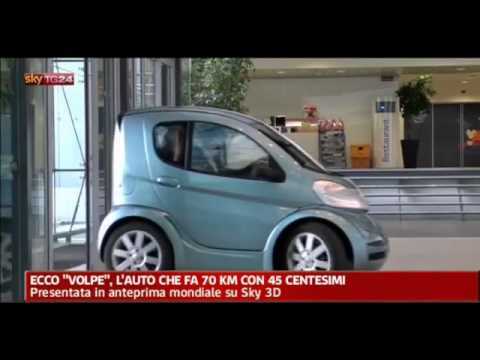 The only model Volpe (Italian: Fox) was an automobile produced by. 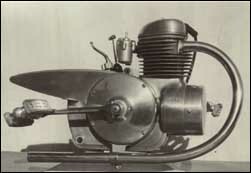 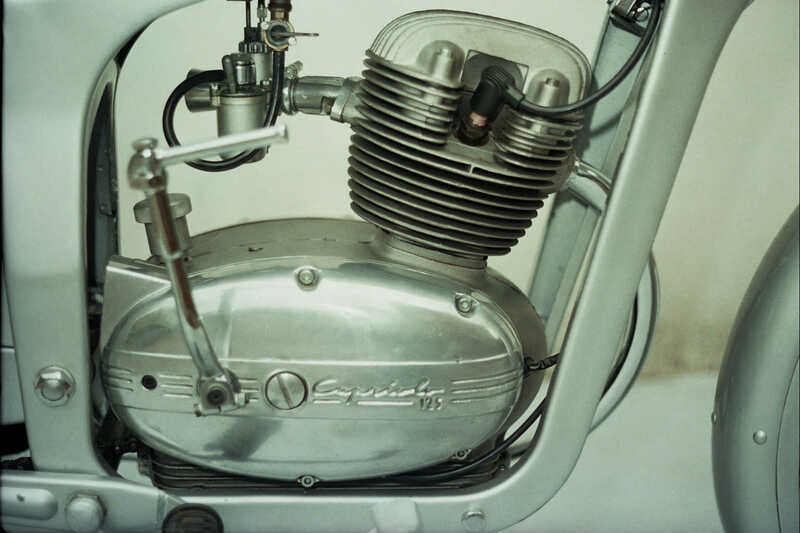 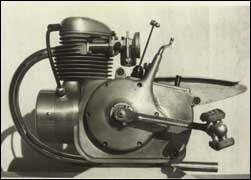 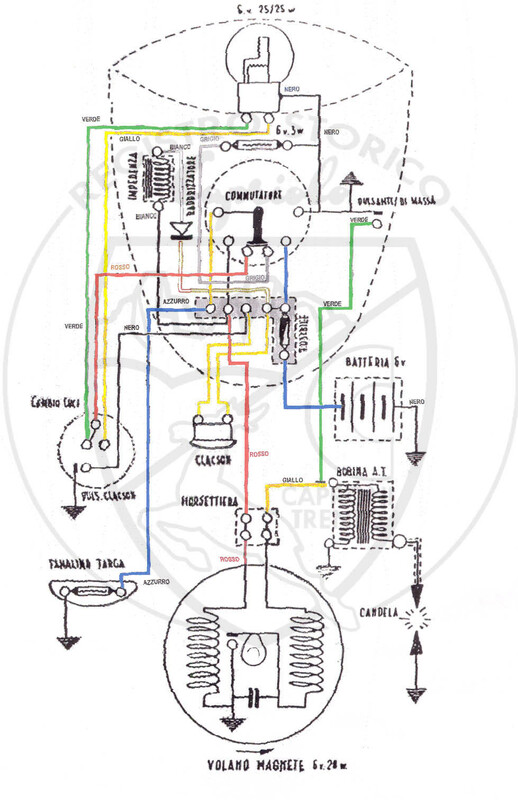 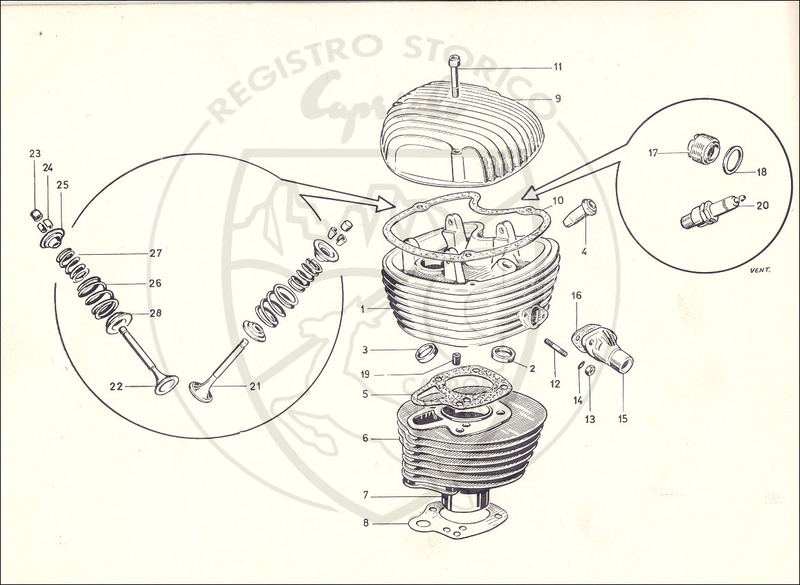 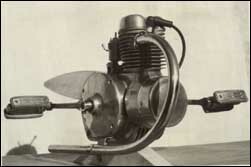 Drive an air-cooled twin-cylinder– madetwo-stroke engine, which produced 6 PS from 124 cc displacement (42 mm bore, 45 mmstroke). 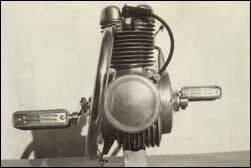 The engine was mounted in the rear. 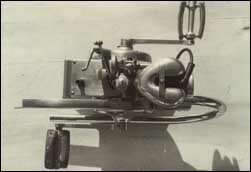 The gearbox had four gears. 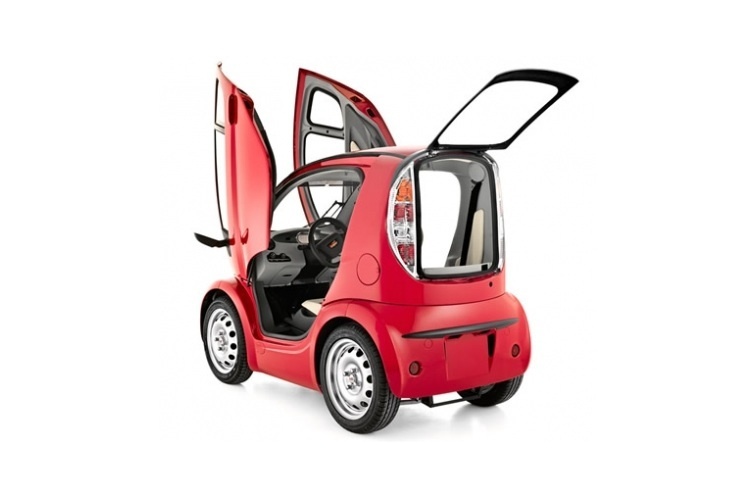 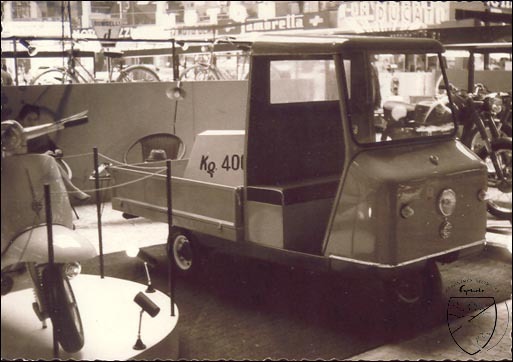 With a wheelbase of 150 cm length of the vehicle amounted to 250 cm, the width 102 cm and the vehicle height with hood 106 cm. 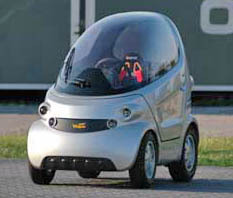 The self-supporting body without doors provided space for two persons. 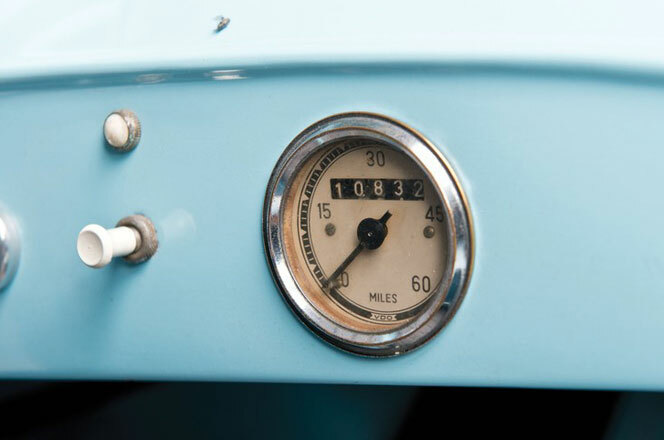 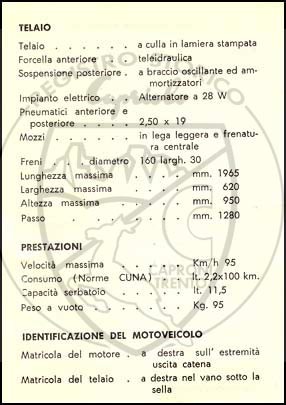 The maximum design speed was specified at 75 km/h. 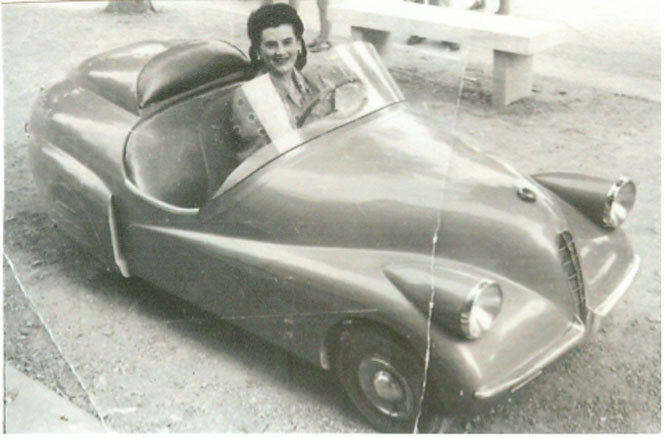 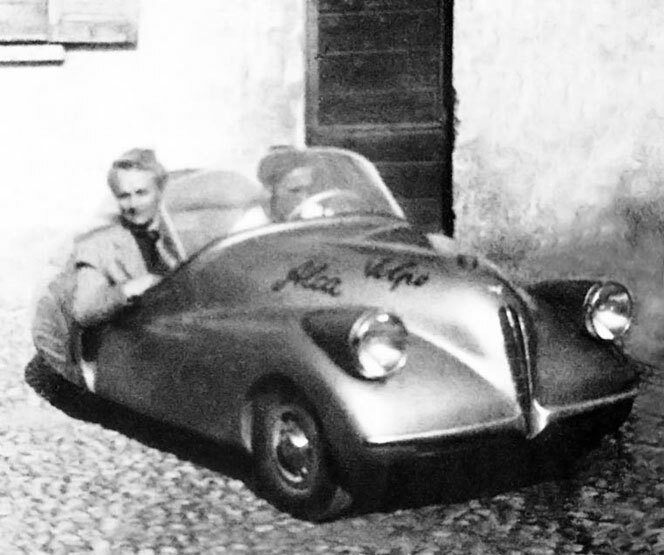 The Fox was a mini car designed by Gioacchino Colombo and designed by Flaminio Bertoni for Air Cabotage Anonima Lombarda (ALCA).It is considered one of the most famous scams after World War II . 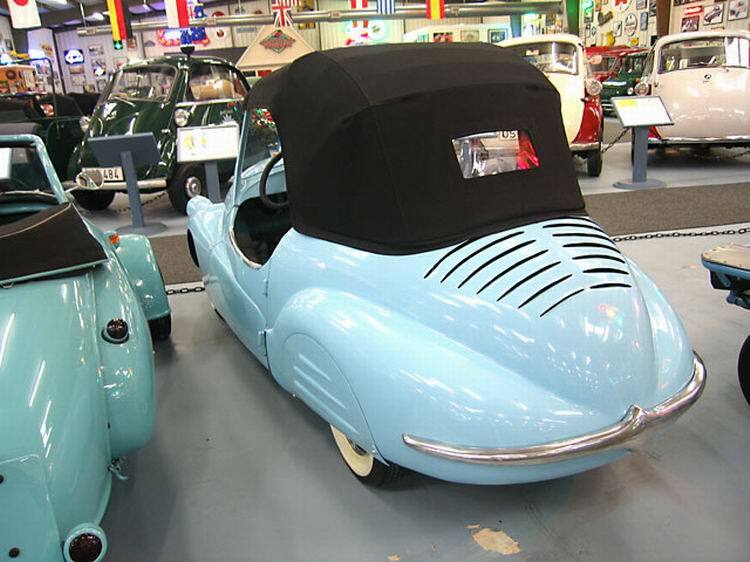 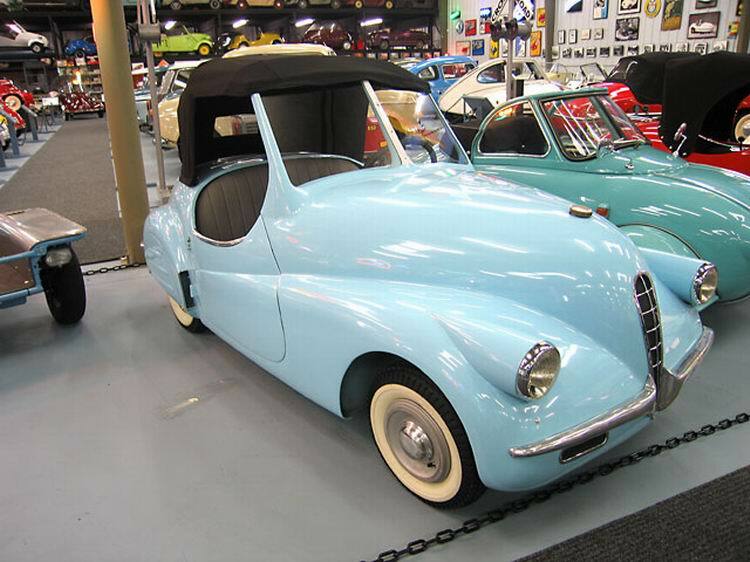 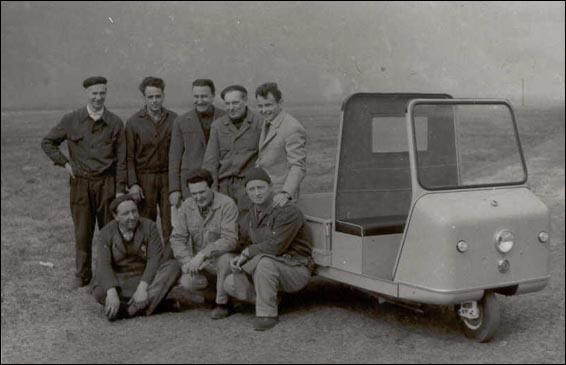 The Fox was presented on 30 March 1947 in Rome by the newly formed Air Cabotage Anonima Lombarda as an economical alternative to the Fiat Topolino. 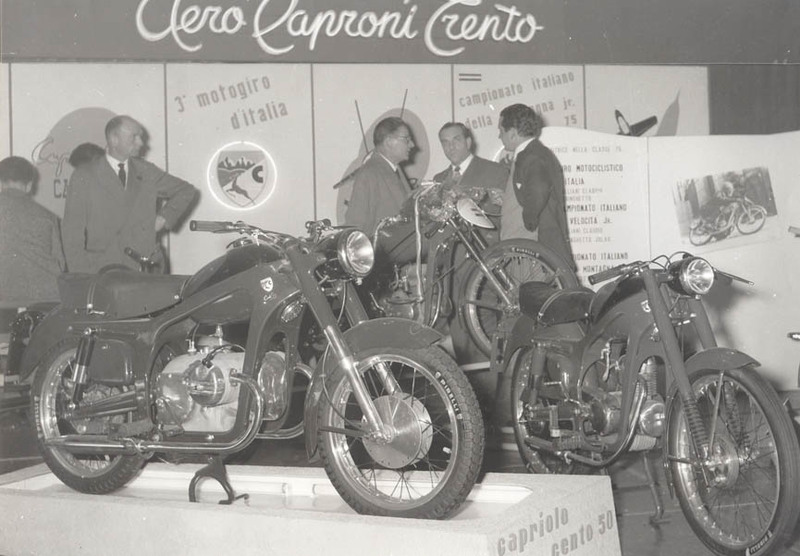 The show saw the participation of comedian Erminio Macario and stirred up a lot of curiosity. 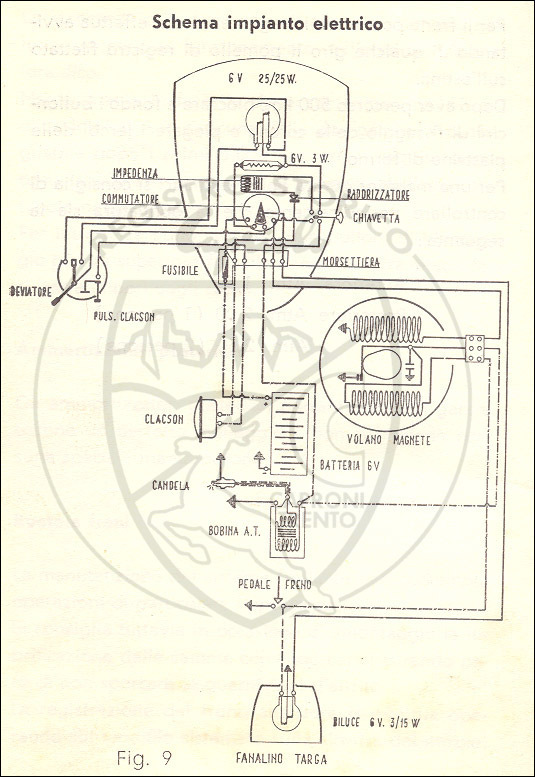 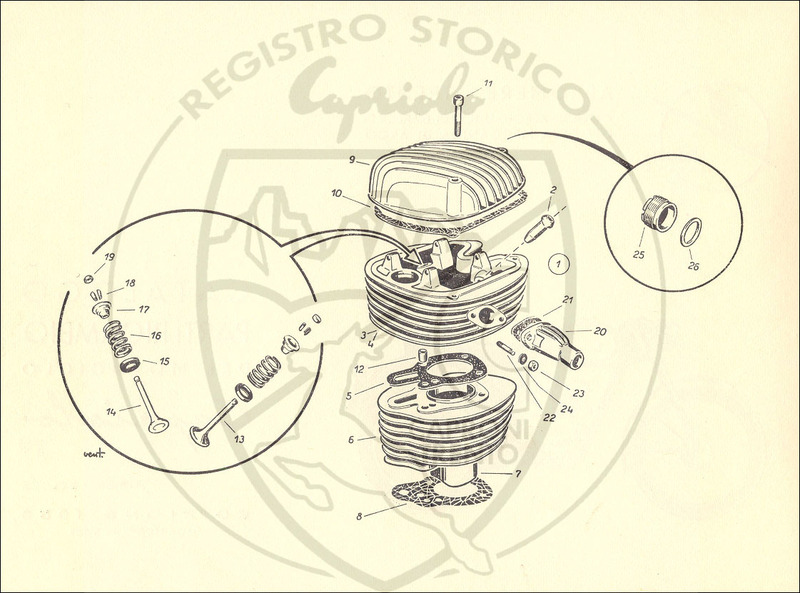 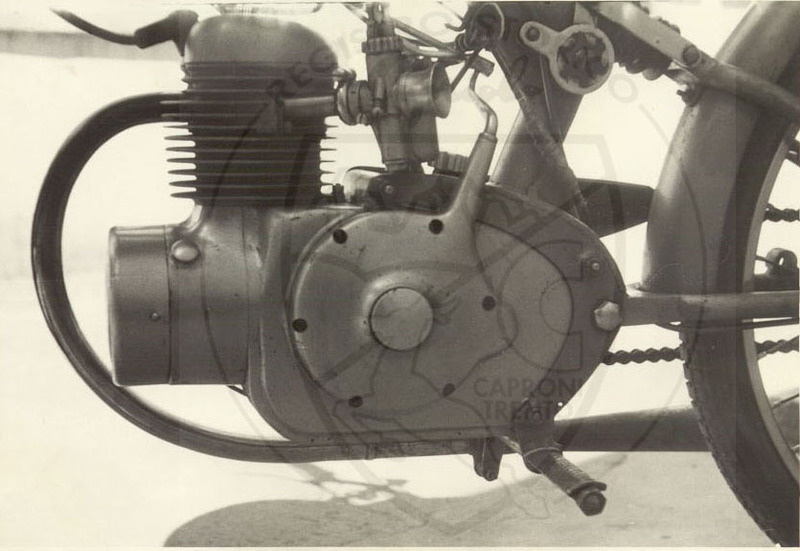 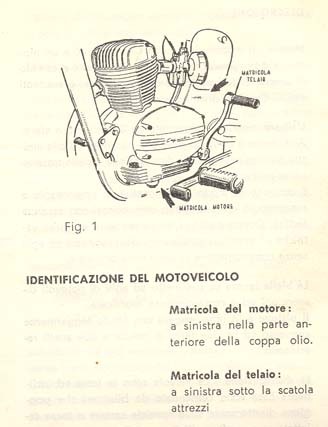 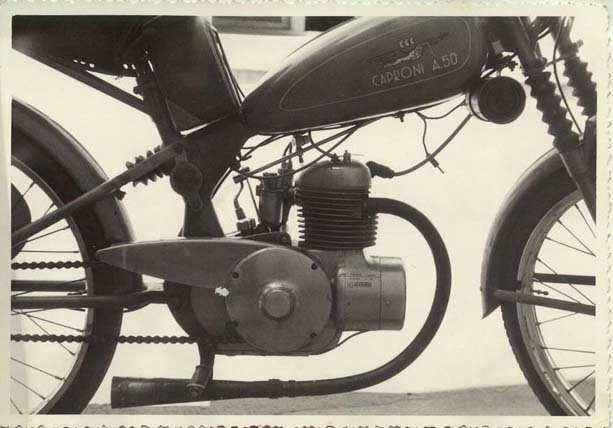 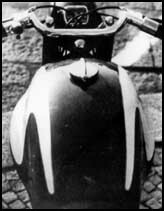 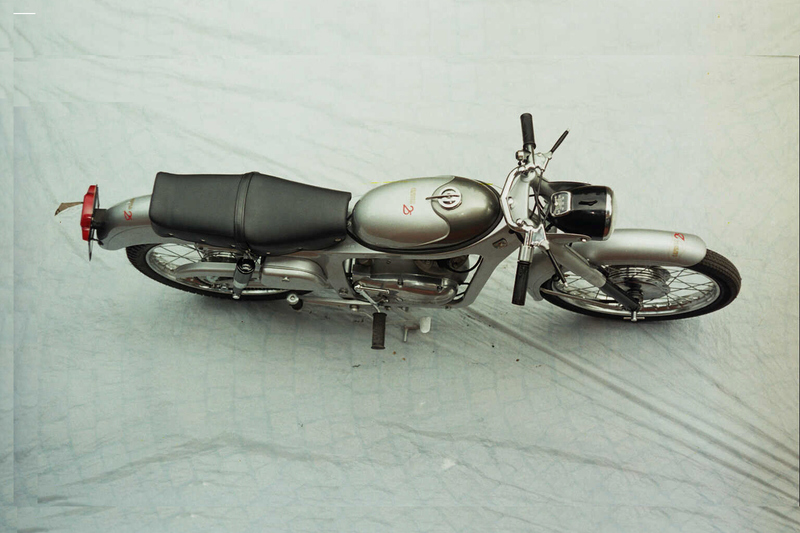 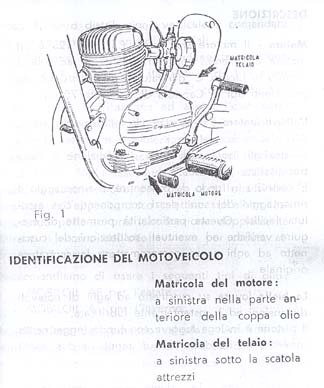 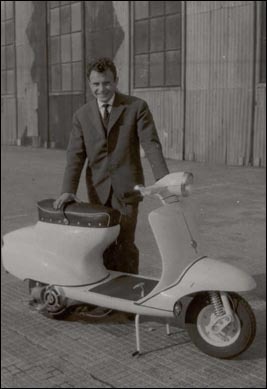 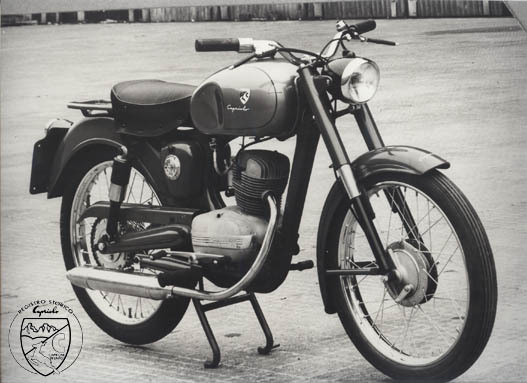 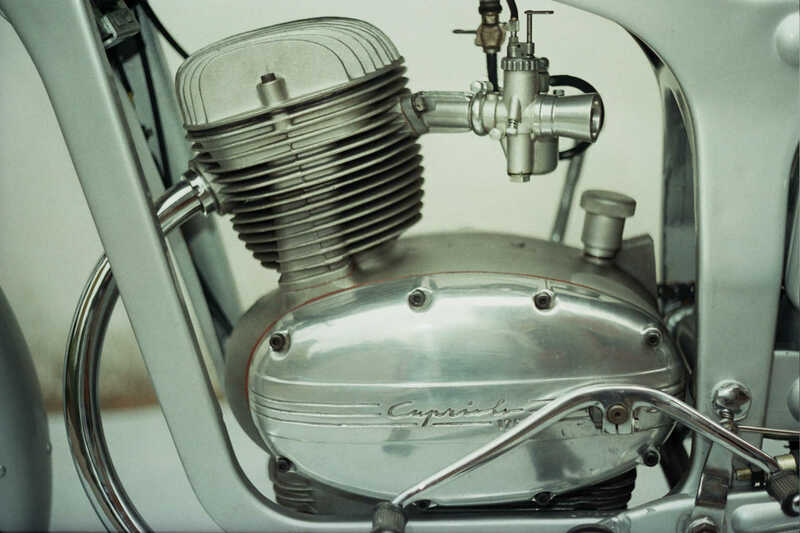 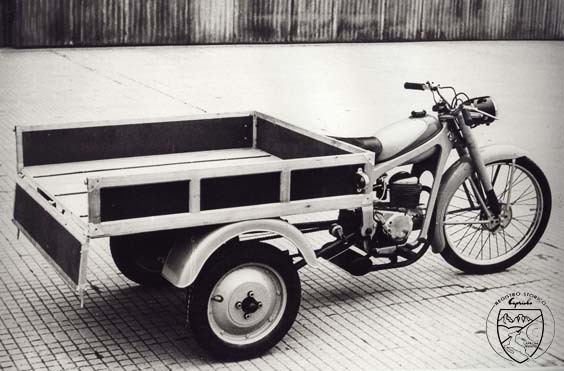 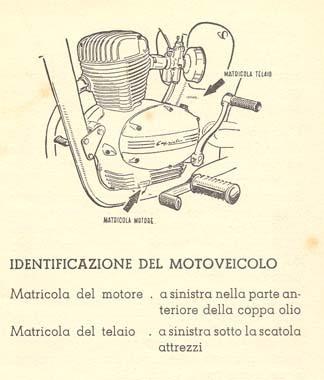 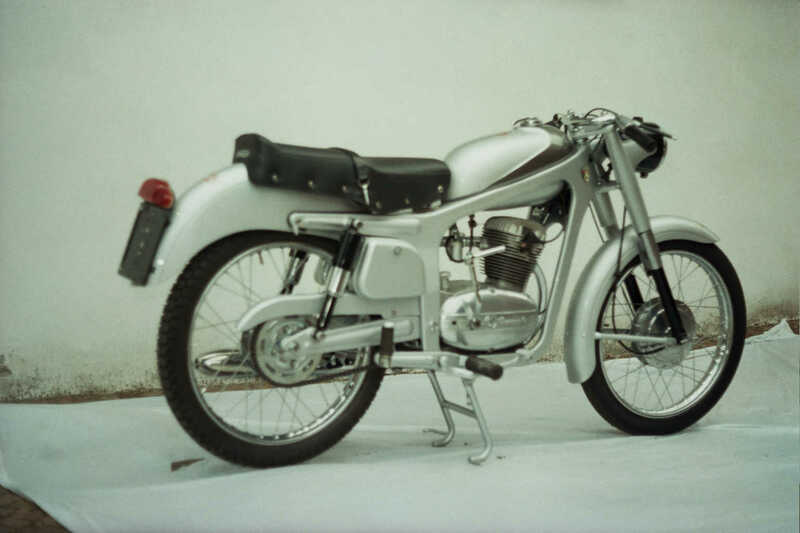 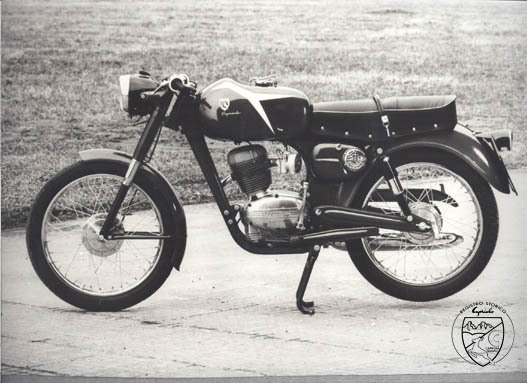 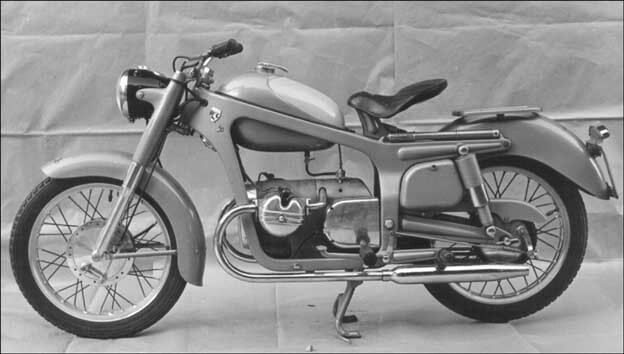 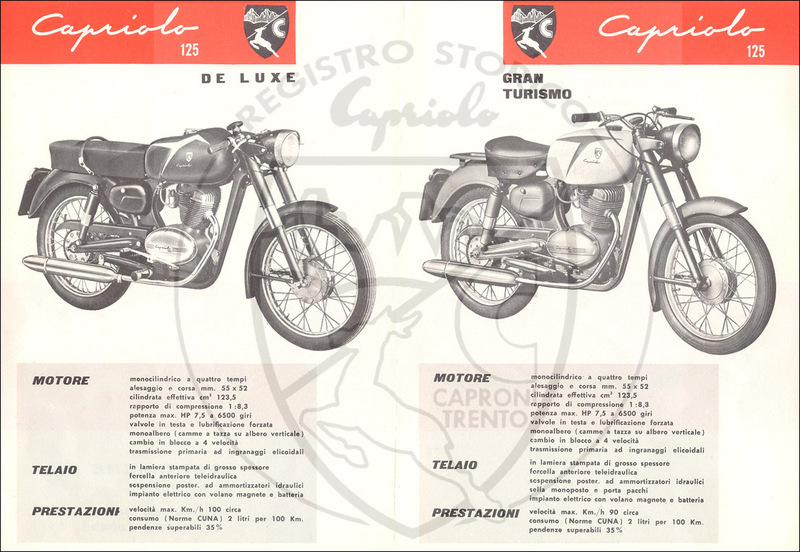 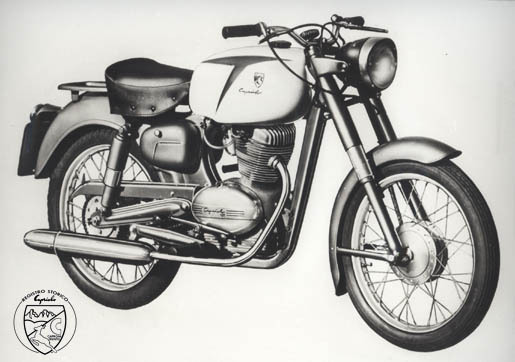 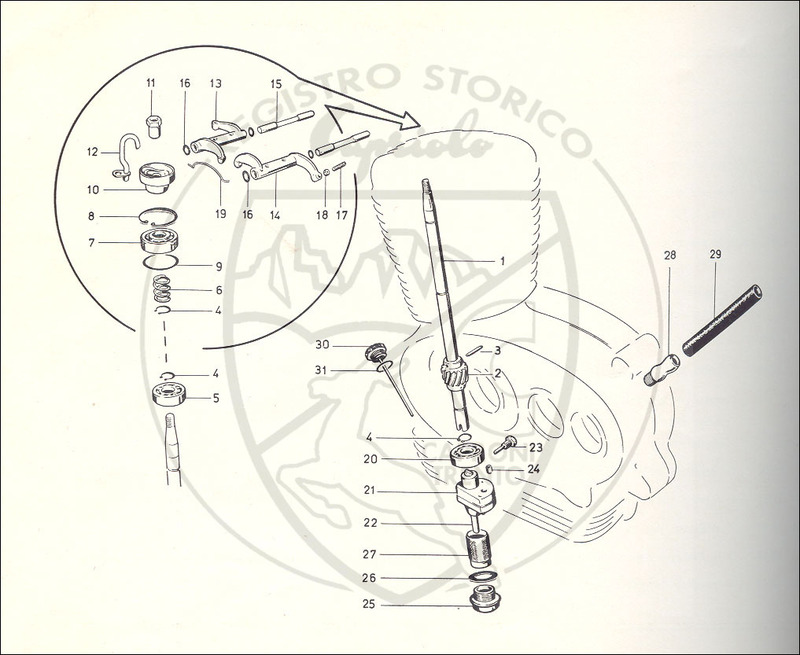 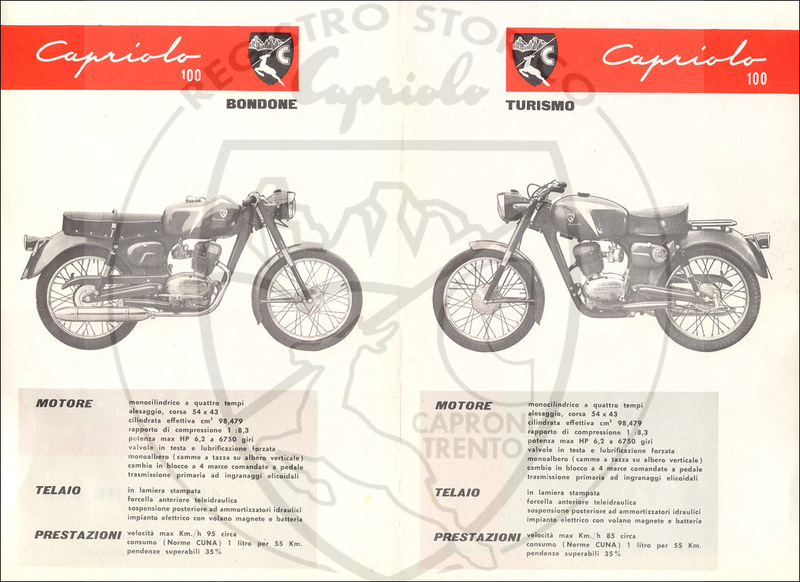 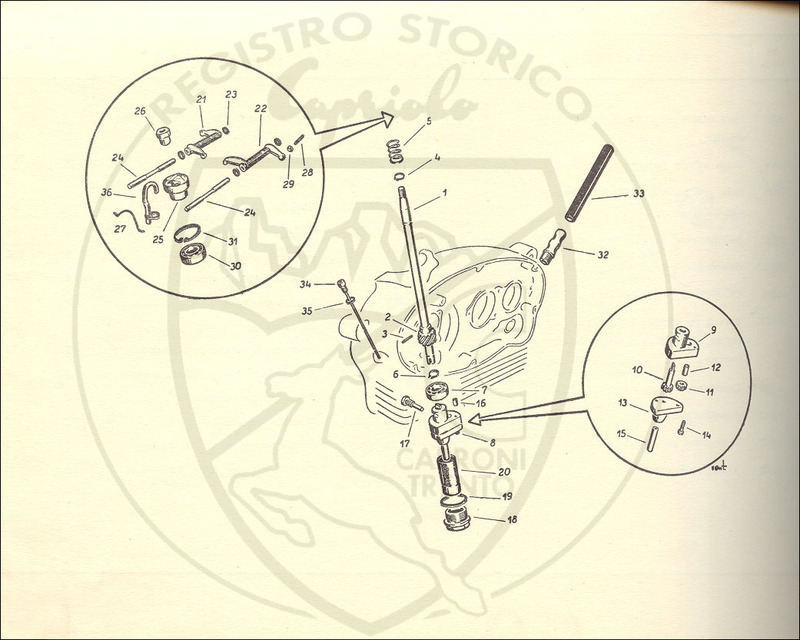 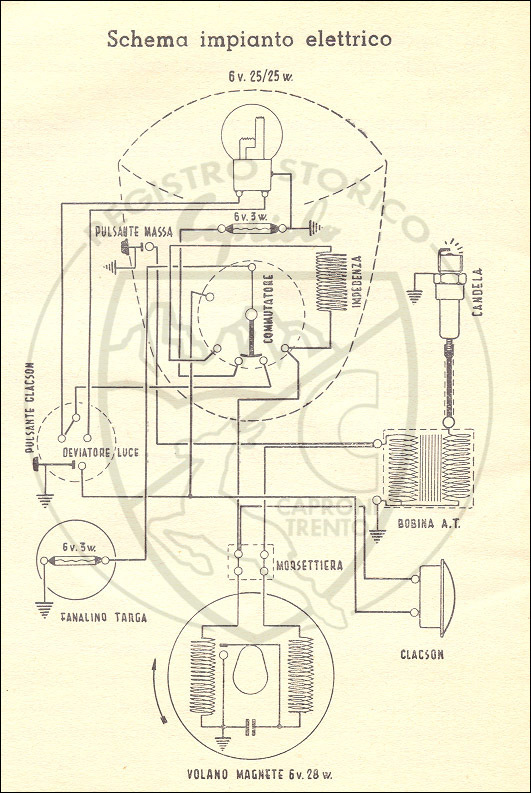 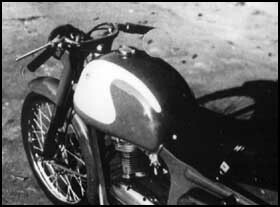 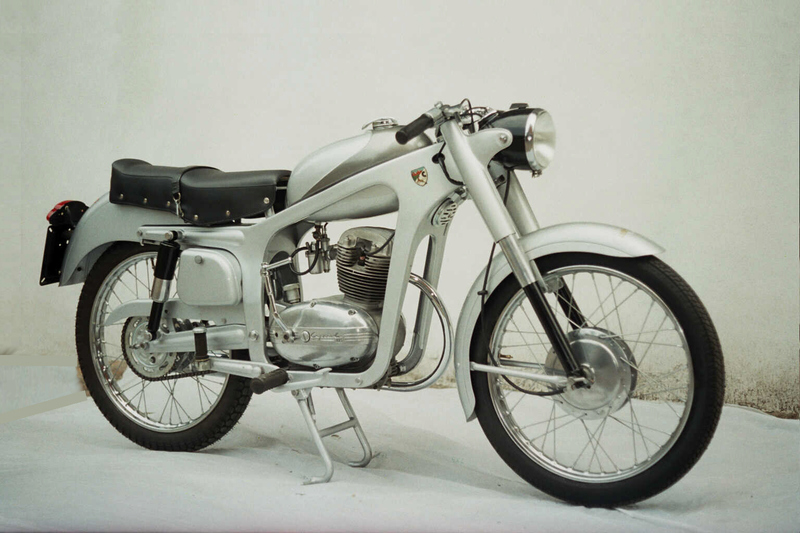 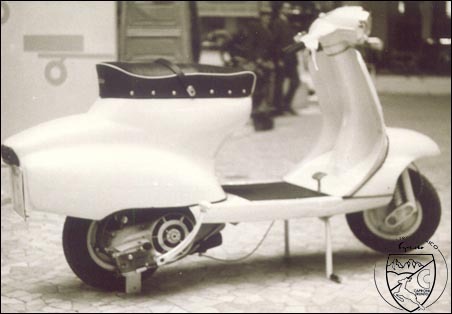 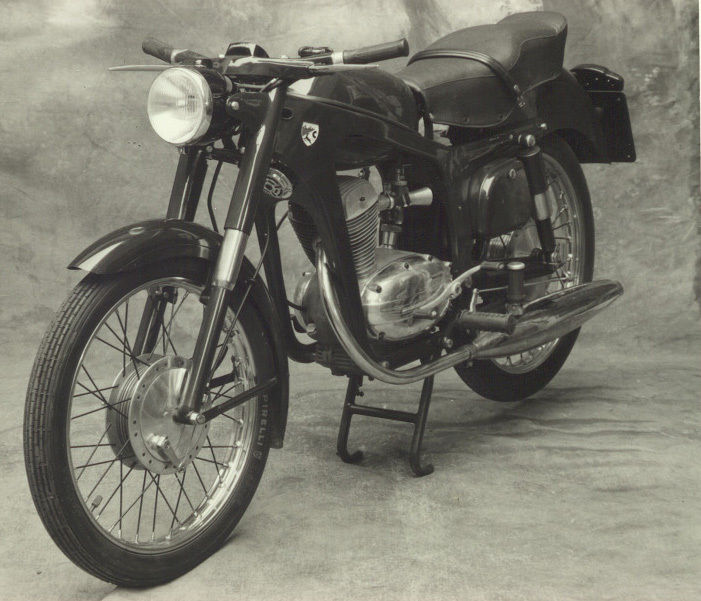 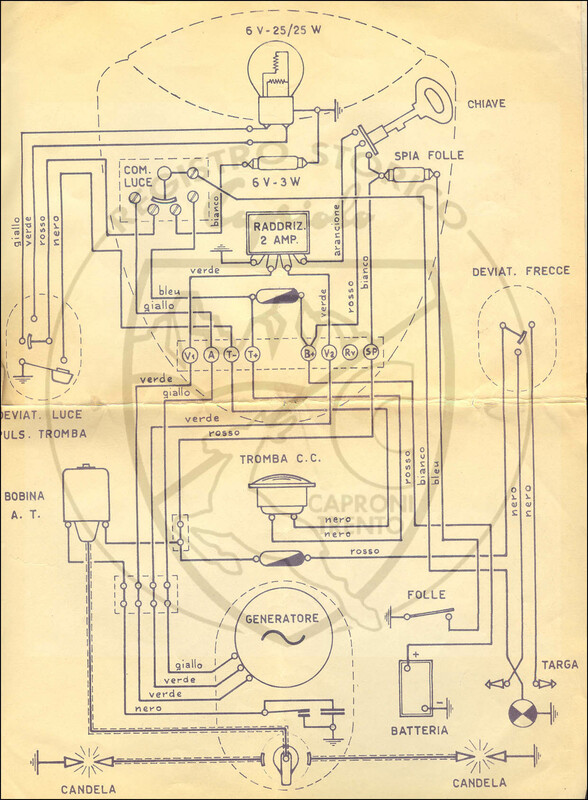 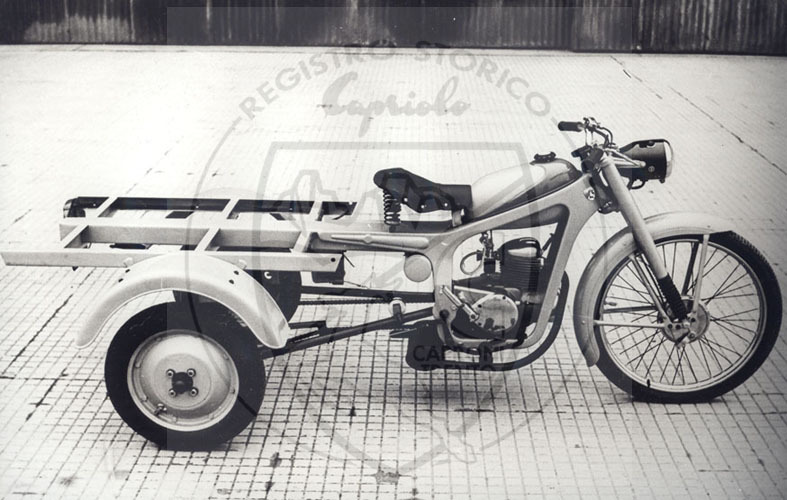 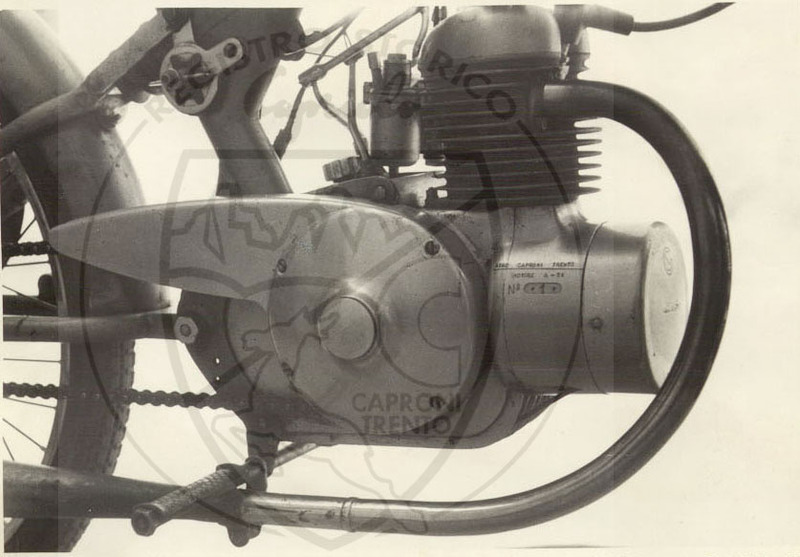 The vehicle was discovered (but with hood); the two-cylinder two-stroke engine from 124 CC had 6 HP at 5000 rpm, was mounted in the rear position and would boost up to 75 km/h. 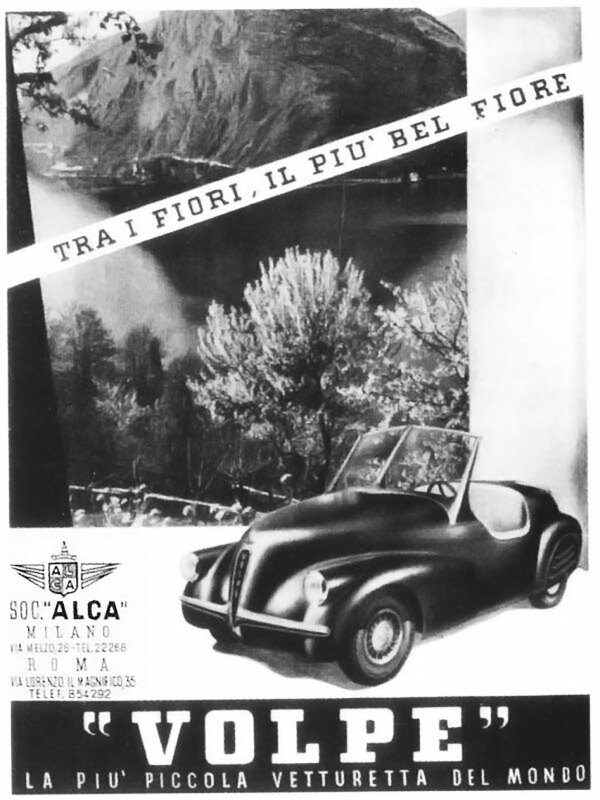 Five Fox were entered to the FTAA Mille Miglia in a “turbocharged version” without roof and fastback and integrated headrests. 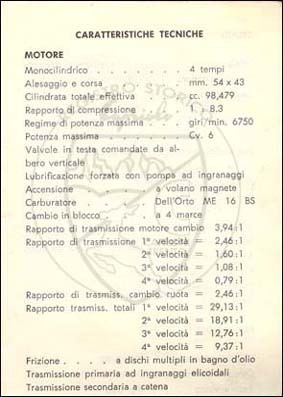 They were produced less than ten copies, then they learned more anything, let alone of “turbo version” which did not appear at the start of the race car. 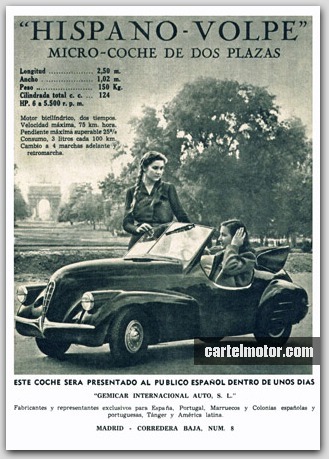 In 1948 the firm was accused of fraudulent bankruptcy, having already taken money from customers who had ordered the vehicle for a total of about 300 million lire (5,479,520 euros today). 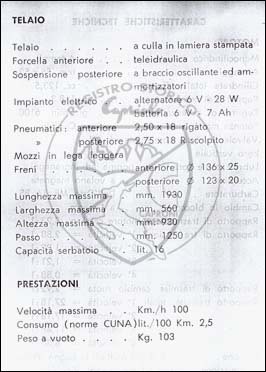 The scam also involved the firm Spanish Gemicar Internacional S.L. 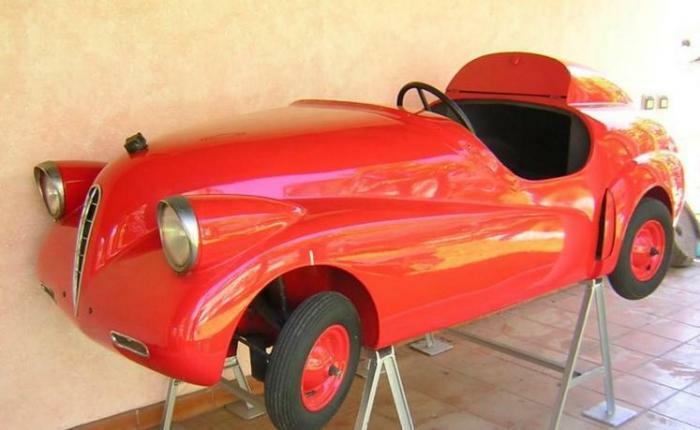 Car of Madrid who in 1947 had decided to build a version of the vehicle (Hispano Fox) for the internal market as well as Portugal, Morocco, Latin America and the Spanish colonies. 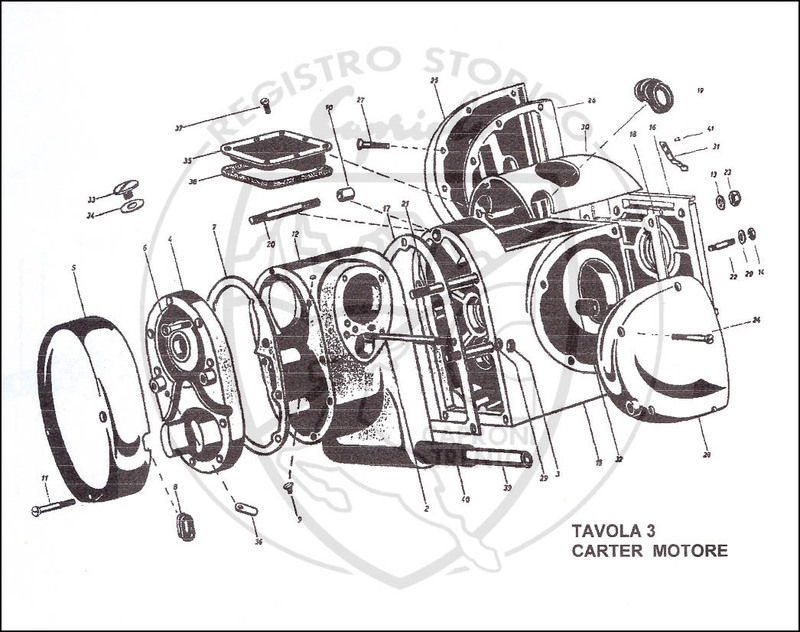 No copy of this version was never produced. 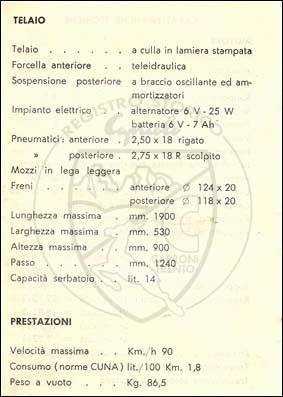 Penguin Fox still exist some specimens in museums or private collections: these are static versions. 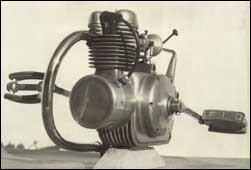 An FTAA would Fox arrived in the United States in 1951 and it was probably a specimen that had been mounted an engine from other sources. 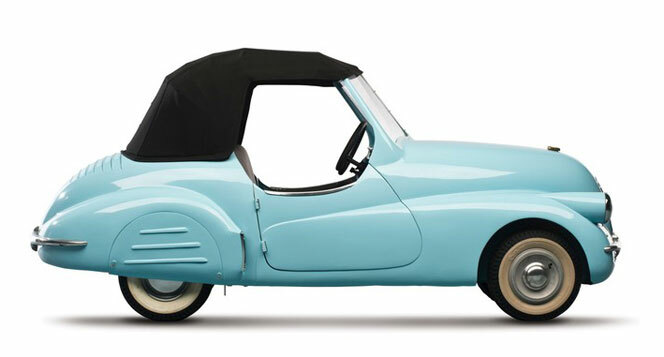 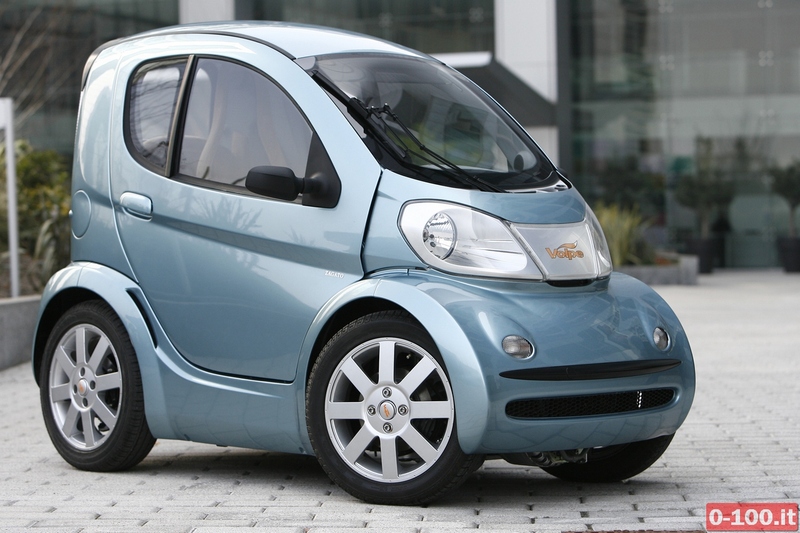 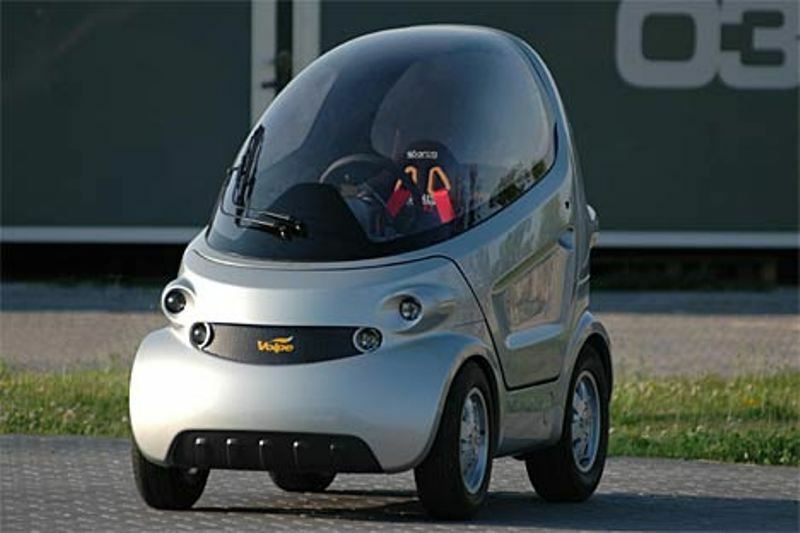 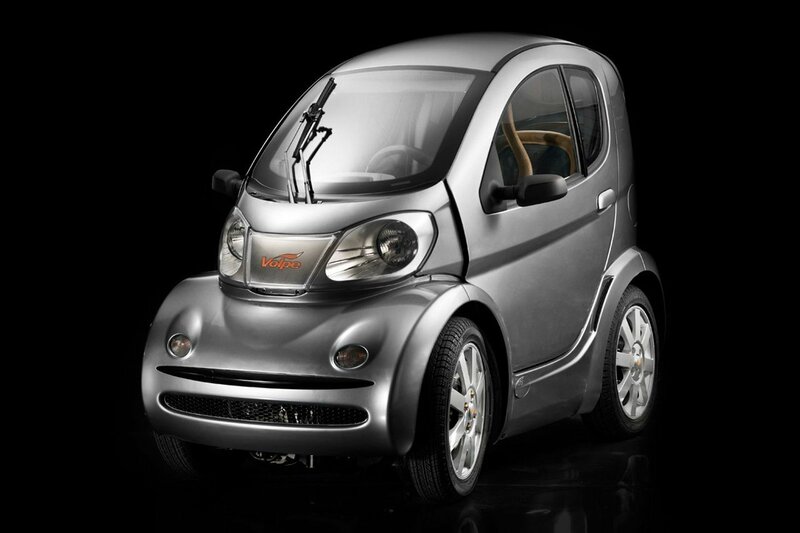 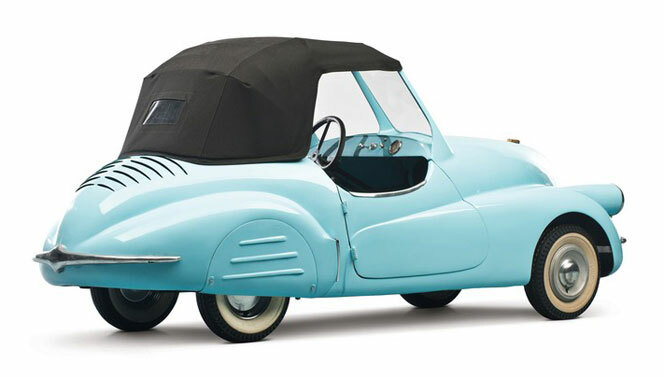 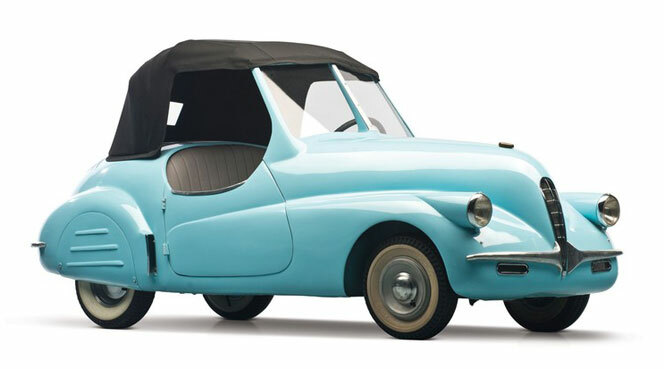 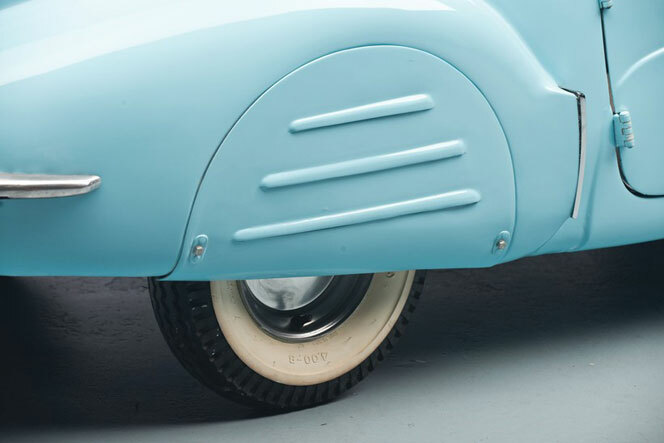 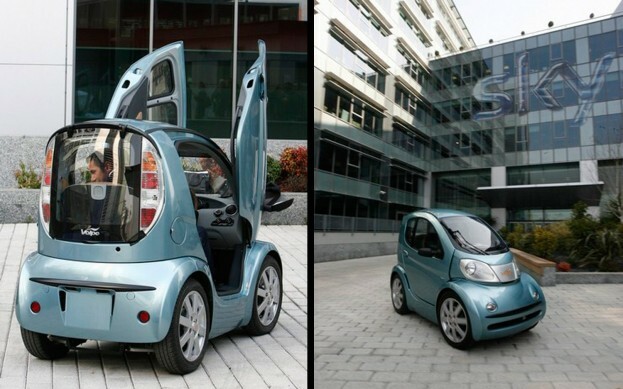 The Fox was, albeit virtually only on paper, the forerunner of the microcar of the next decade, also called bubble cars.